Numerous projects in property division including characterization, valuation, tracing, and reimbursement issues. Numerous projects in premarital planning/asset protection. Elizabeth is a frequent speaker on Texas family law issues. Ms. Hunter has over 23 years of dedicated family law practice with emphasis in divorce and asset protection, child custody, paternity, adoption, termination of parental rights, modification of custody, visitation and child support, premarital agreements, postmarital agreements, cohabitation agreements, post-divorce and enforcement issues, annulments and common law marriages. 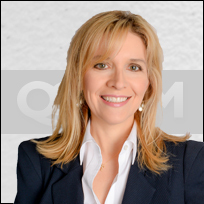 Elizabeth handles cases in multiple counties including Dallas, Denton, Collin, Tarrant and Rockwall counties. Elizabeth is a Certified Mediator. Elizabeth is also a trained Collaborative Law Family lawyer. Elizabeth provides strategic divorce planning services for each individual’s needs. Author/Speaker, University of Houston Family Law Practice Seminar, Child Support and Modification: Guidelines, Guesswork or Good-Lawyering?